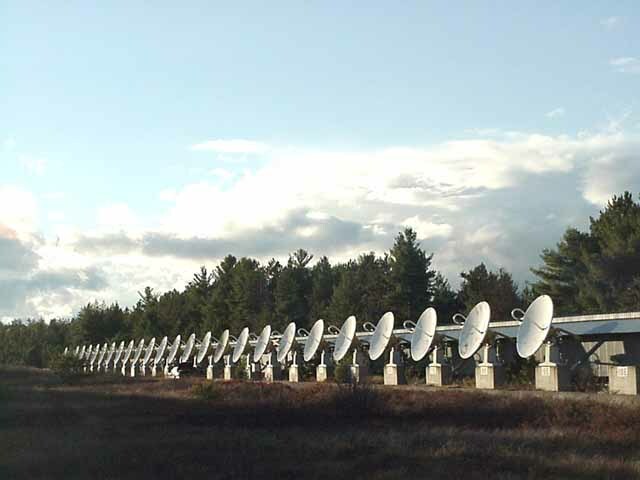 The National Research Council of Canada's Algonquin Radio Observatory (ARO) was one of two major radio astronomy facilities in Canada where scientists studied the sun, stars and distant galaxies in wavelengths beyond those of visible light. Begun in 1959, the Observatory was located at Lake Traverse, situated deep in Ontario's Algonquin Provincial Park, well away from manmade interference. This now decommissioned portion of the site contained a collection of instruments designed for research in several phases of radio astronomy. The Solar Interferometer array consisting of 32 parabolic reflectors, each 3 m in diameter, scanned the face of the sun every noon. 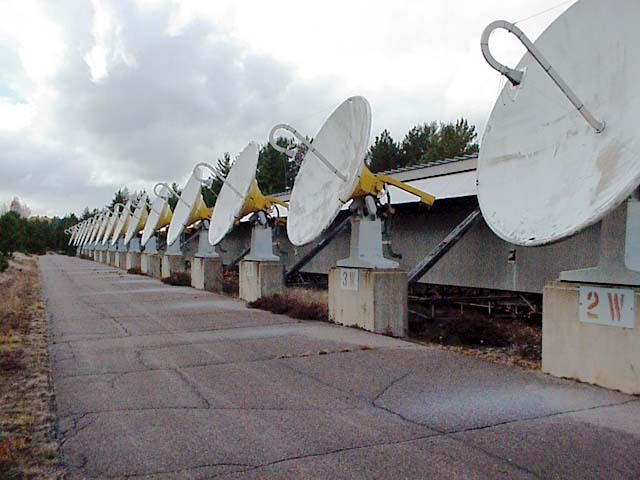 Nearby, a single 1.8 m dish was used to monitor the whole solar disk at a wavelength of 10.7 cm. In May 1966 a new 46m Antenna began operations. By June 1967 the Canadian group reported the first successful Very Long Baseline Interferometry (VLBI) experiment using ARO's 46m antenna. In 1968 Harald Jones of the Geodetic Survey Division (GSD) reported on the first successful geodetic VLBI baseline determination (using the 46m antenna). During 1973 the Intercontinental VLBI experiment was performed at ARO. 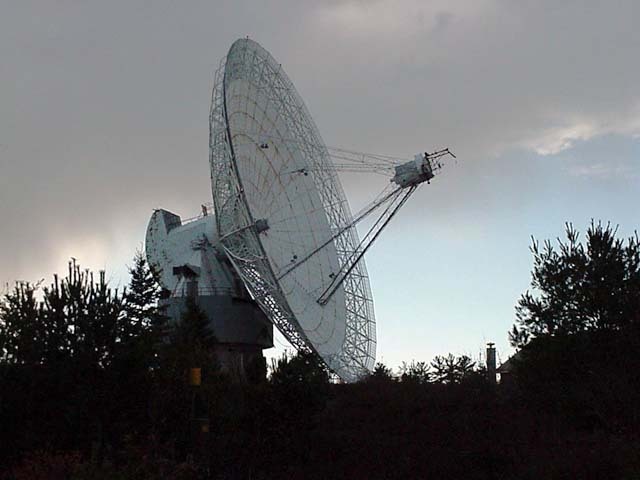 In 1977 Real-time VLBI was first performed by a joint US-Canadian team on ARO-Green Bank and ARO-Owens Valley baselines. Data was correlated in real-time at ARO. During1984, ARO participated in NASA's crustal dynamics project. Regular VLBI observing with the 46m antenna began. By 1986/1987 The NRC decided to cease operations at the ARO. The NRC continued to operate the site while they pursued a new owner. On March 31, 1991 The NRC terminated support for ARO. At the current time the ARO is operated by the Geodetic Survey Division of Natural Resources Canada in partnership with the Space Geodynamics Laboratory, CRESTech. In 1997 ARO joins CORE-A, substantially increasing it's contributions to global VLBI research. A small number of astronomical observations are made at the observatory for non-Geodetic purposes. In 1998 the 46m antenna at ARO was scheduled in a total of 58 geodetic experiments, typically lasting 24 hours each. The experiments were in the following programs: CORE-A (a total of 25), NEOS (15), CORE-B (6), MARS (5), CGLBI (5) and NAPS (2). The CORE, NEOS, NAPS and MARS experimental programs are international collaborations led by Goddard Space Flight Center (NASA) and the U.S. Naval Observatory. The CORE (Continuous Observations of the Rotation of the Earth) and NEOS (National Earth Orientation Service) experiments focus on the orientation and rotation of the Earth relative to inertial space. The NAPS (North American Plate Stability) experiments monitor relative motions of a set of antennas situated on the North American Plate to determine the stability of this tectonic plate. The MARS experiments involve differential VLBI between spacecraft on or in orbit about Mars and nearby astronomical radio sources for the purpose of studying the planetary dynamics of Mars and solar system dynamics. The CGLBI (Canadian Geodetic Long Baseline Interferometer) experiments are system development tests of Geodetic VLBI technology designed and built in Canada. The CGLBI program will be used for improvement of the Canadian Spatial Reference System. 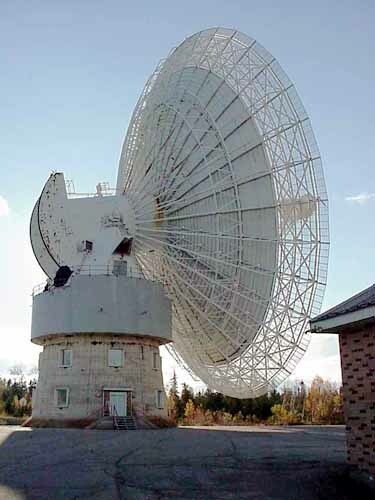 The ARO's 46 m antenna is the largest currently used in regular geodetic VLBI observations. In 1998 the ARO was ranked #7 in usage among the NASA partners (which doesn't include the CGLBI, the Japanese and other activities).